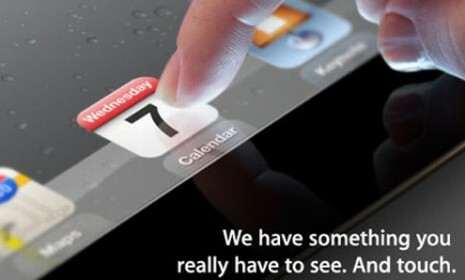 Apple has not actually told us that a new ‘retina display’ iPad will be launched next week. But that is what is being confidently predicted. I am going to join the crowd that thinks we will be shown an iPad 3 next Wednesday and it may start shipping very shortly afterwards. It will be a ‘retina display’ device, four times as many pixels in a package that is very much the same shape and dimensions. Possibly slightly lighter, as Apple tends to increase the quality of the devices when they release new versions. This new iPad will be very good for all magazines, but it may have a particularly dynamic effect on the quality end of the market. I am thinking here of those ‘high end’ magazines that have particular prestige in the domains of fashion, design, art, poetry, environment and architecture. There are lots of such magazines. Some of them are highly popular and influential and some are priced at a level well above the consumer magazine norm. Magazines such as Purple, Disegno, Frieze, Monocle, Architecture Review, The Burlington Magazine, Eye etc. None of these magazines yet has an iPad edition, but they would all look spectacularly good on the next iPad. They would probably look pretty smart on the existing iPad 2, but I can understand why their publishers might have felt that the iPad 2 does not quite give the precision and sharpness that will appeal to their cutting edge readers. The quality of this reproduction will also open up a new and attractive commercial strategy for these magazines. Subscribers do renew their 30 day subscriptions in large numbers. It varies from magazine to magazine, but 75%+ renewal rates for monthly subscriptions are normal. Annual or higher-priced quarterly subscriptions are also being chosen by consumers in surprisingly large numbers, even when the prices are very high by iTunes standards. Some of the magazines that are selling cost over $100 for an annual subscription, and that is a very high price when compared to other areas of iTunes (games, books, video). This suggests that a subscription that is perceived to be good value in iTunes — perhaps because the print sub is higher — can sell well. If the publishers of Purple or the Burlington Magazine can produce a top quality iPad app of their magazine I reckon that they will be able to sell annual subscriptions for prices in the range of 50% of their print subscriptions — that might still be over £50 for an annual sub, and they will also be able to offer 30 day taster subscriptions at prices in the sub £10 ball park, perhaps even sub £5 without ‘cheapening’ their brand. These are not ‘cheap’ prices by iTunes standards (or by anyone’s standards) but I think they will be seen as very good value, especially if the 30 day subscription provides the taster with access to a substantial archive. The advantage of the iPad version is that it not only does not undermine the value of the print publication, both parties to the transaction know that there is not a ‘manufacturing’ cost for a digital magazine however gorgeous its production values, but the stunning appearance on a very high quality device also does justice to the aims and aesthetics of the publication and what it stands for. Stunning quality may justify a fairly high price in the consumer’s eyes even though its clear that the actual cost of shipping the digital version is nothing compared to the cost of the print original. I remember reading an interview with the editor of the Monocle in which he said he wouldn’t do an iPad edition as then ‘people would be unable to see that you are reading the Monocle’. The value of these magazines as status symbols cannot be ignored!